Unheard of...Maintenance reduction down to $1073! This meticulously designed 2 bedroom duplex retreat seamlessly blends a Mid-Century modern design while maintaining a comfortable and functional home. This gem is further highlighted by a professionally landscaped private outdoor oasis with 6 gorgeous pear trees. 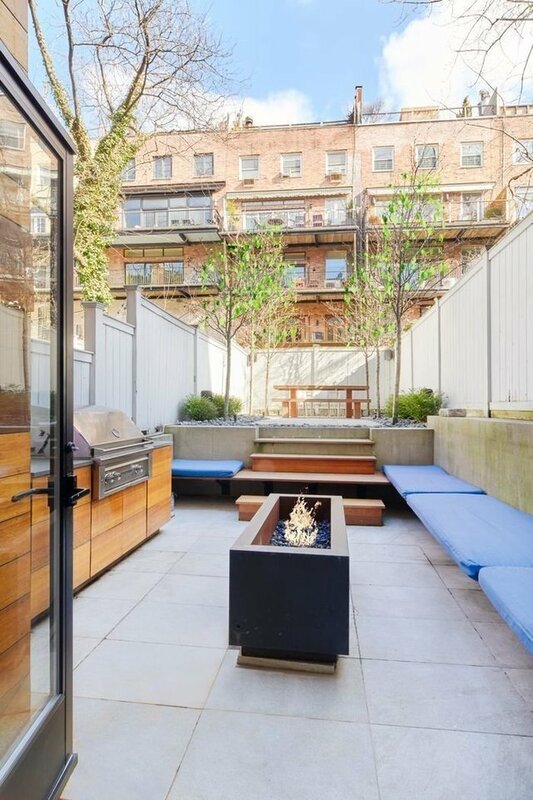 Bright and quiet, this Bauhaus inspired home is nestled in an intimate prewar townhouse coop on one of the most picturesque blocks in Chelsea. Upon entering the apartment on the upper level of the duplex, you are greeted by an inviting voluminous space that brings the outside in through a massive picture window. This level also features a fabulous kitchen with top of the line appliances, glass counter tops, a limestone backsplash and well thought out cabinet storage. Perfectly positioned next to the massive window to the backyard and glass partitioned staircase, the large dining space easily accommodates a table for 10. The spa like bath features a glass encased rain shower and beautifully marbled stone throughout. There is also an ample sized bedroom on this floor with high-end foldable bunk beds which provides easy function and allows for multiple uses. Other highlights include 9 wide plank white oak floors and tons of smart storage. The intelligently designed lower level includes a living room, master bedroom, a half bath and access to your private garden through a massive glass door. Smartly laid out with a 3 piece sliding wood wall, the space allows you to open the master bedroom up to the living room/back yard or close it off to create separate living and sleeping areas. Off of the bedroom, there is a crisp clean half bath, a walk in closet, additional storage and to top it all offheated white concrete floors! Immaculate and ready for move in, additional amenities include an abundance of customized closets and storage, recessed and specialty architectural lighting throughout, indoor and outdoor Sonos controlled speakers and 4 zone air conditioning system.Situated on a lovely block lined with historic brownstones in Chelsea's historic Seminary District, this sought-after location is just minutes to many excellent restaurants, neighborhood hotspots, Chelsea Piers, The Chelsea Market, Hudson River Park and the Highline. Pied a terres are allowed. Pets welcome.